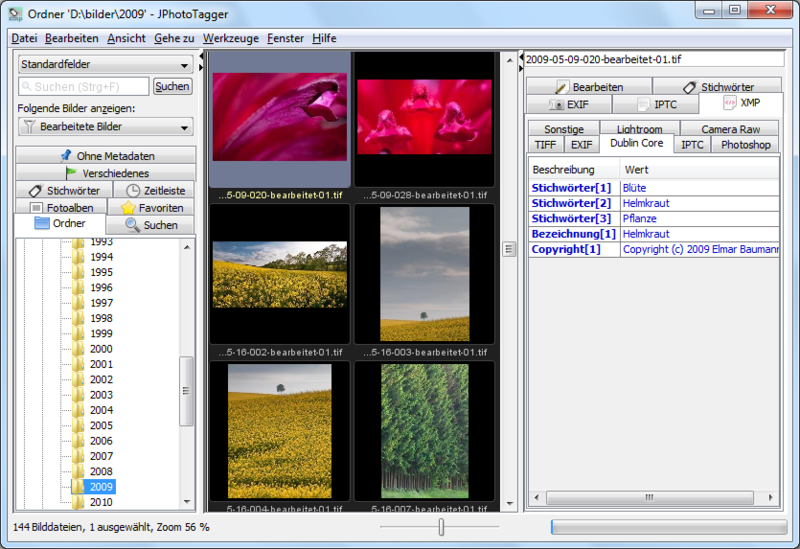 JPhotoTagger's main window. Click displays a larger version. 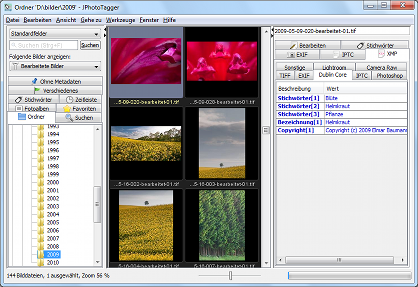 JPhotoTagger is free for "private persons" or "commercials" as long as it will be used for tagging ("managing") photos. It's not intended ("allowed") to sell it as single program or as part of a collection of programs.